Crescentwood character home! A great investment opportunity! Former duplex was rented out as a commercial business on main floor and personal residence on top two floors. Hardwood floors, high ceilings with arched doorways and large windows to bring in natural light to every room. Five bedrooms, 2 full baths, full basement w/ recroom, double garage and parking pad and outdoor storage shed. 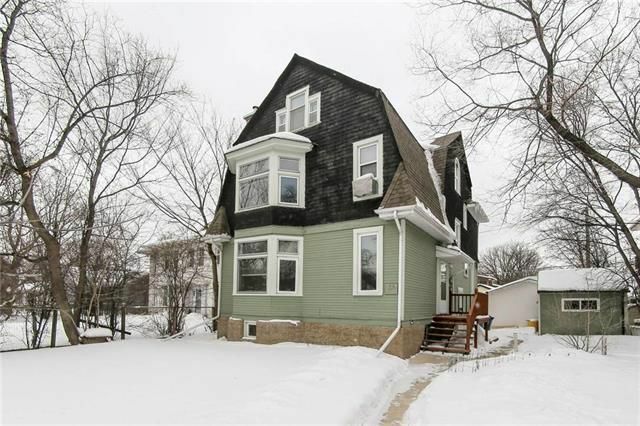 A steal of a deal for less than $400k considering the neighborhood. A stones throw from Wellington Cres., bus stops, and schools. Walk up Academy to the various shops, or to Corydon or Wolseley! Great location! 80% of millionaires became so through real estate. Get in on the main floor!